The upcoming Phantom Dust remake for both Xbox One and Windows 10 PC is only around 3.4GB in size. That’s what Microsoft’s creative director on the remake, Adam Isgreen, said via Twitter recently. “Dunno about pre-orders, but it’s not a large game by today’s standards – I think we’re about… 3.4GB right now all-up. Dunno about pre-orders, but it’s not a large game by today’s standards – I think we’re about… 3.4GB right now all-up”, he said. On the original Xbox, the game weighed in at roughly 3GB. Compared to recent remakes and retail releases, this can be considered quite small indeed. The revamped version of Phantom Dust was officially announced during Microsoft’s 2016 E3 press conference. The remake, developed by Code Mystics, is a re-release of the original classic, with Xbox Live features like cloud-save support, cross-device play, cross-buy, Looking for Group on Xbox Live, and support for Arena on Xbox Live. Furthermore , it will feature new gameplay enhancements including multiplayer starter decks, improved frame rate, and adjustments to overall game balance. Play on Windows 10 PC or Xbox One seamlessly with cross-saves, retaining all of your progress and in-game items between both platforms. Cross-device play lets you play against friends regardless of platform. Full Xbox Live feature set of the original game, including downloading top player’s arsenals to practice against them – a feature not available since the original’s release! Looking for Group on Xbox Live so you can find and connect with other gamers more easily than ever. Multiplayer starter arsenals are included. Jump right into multiplayer with a better selection of skills! The Multiplayer skill shop is no longer tied to solo player progression. All skills are available for purchase immediately for multiplayer use. 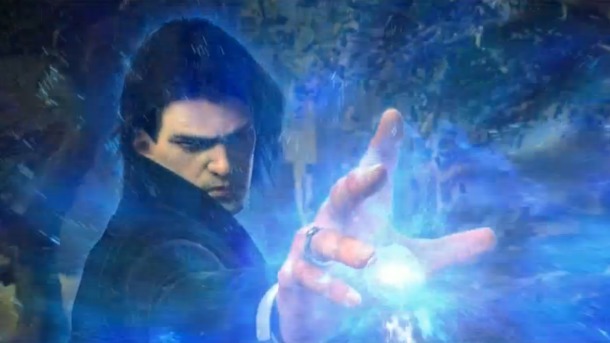 The exact release date for the Phantom Dust remake is unknown, but it should ship before this year’s E3 event in June according to Xbox head Phil Spencer.